A delicious roast feast – That’s all I want for Christmas! Celebrate with a roast carved up to share and a buffet of your favourite vegetable and salad dishes or finger food. 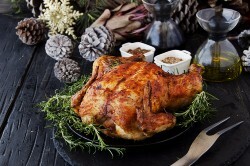 To cater to your Christmas budget, Victorian Golden Roast services are created to be as flexible as possible. Choose any menu and extras of your choice. Combine any spit roast menu, finger food menu, platters and any additional items. Choose pick up, or delivery only, or carve, serve and clean up. 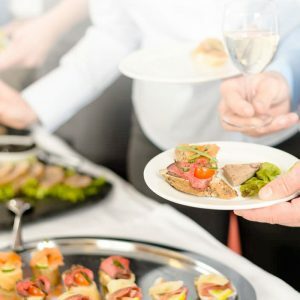 Party catering services available across Melbourne CBD, metropolitan and surrounding areas. Wait staff are available for hire. 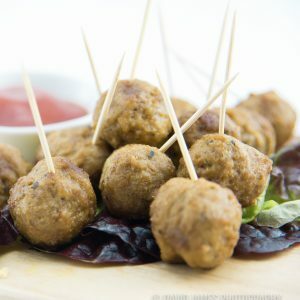 Vegetarian and gluten free catering options available. With two decades of industry experience and a strong network of local and regional suppliers we can provide high quality produce and service at great value prices. 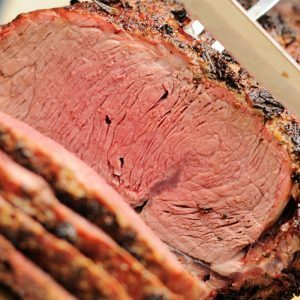 Whether it’s Christmas in July or your end of year event a spit roast is the perfect way to celebrate. Enjoy your favourite Christmas foods. 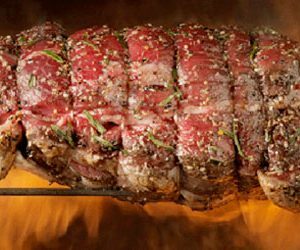 Spit Roast Menus include juicy meats such as crackling roast pork with apple sauce, tender marinated roast beef with piping hot home style gravy, hot roast chicken with traditional gravy, or succulent roast lamb with mint sauce. Add to this a selection of vegetables of your choice including hot jacket potatoes with sour cream, baby carrots in honey, roast pumpkin, or salads. Choose a Christmas Finger Food menu to suit your crowd – from classic wontons and spring rolls to fresh oysters and mussels. 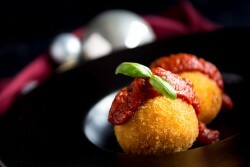 Go traditional Italian bruschetta and add pumpkin & feta arancini balls and meatballs. Select mini tarts, gourmet quiches, and petite pies, or enjoy a range of gourmet Asian flavours including Thai dumplings, king prawn tails, satay skewers and sushi. Additional seafoods, meats, cheese platters available. Submit an online quote enquiry to find out how tasty, affordable and hassle free your Christmas meal could be! We’ll respond to you with a couple of hours during business hours.